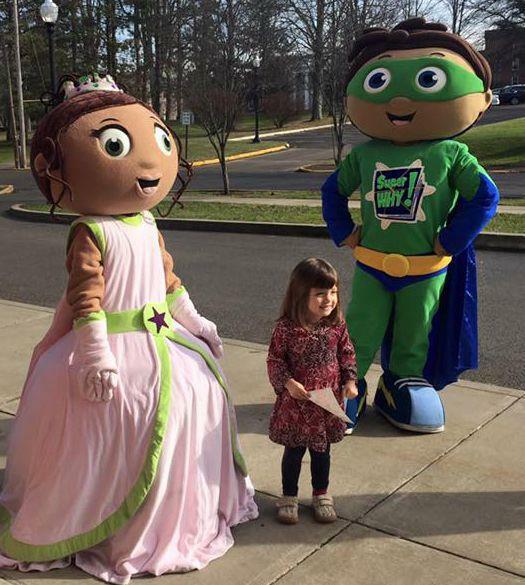 Super Why and friends came out to Buckhannon to help launch the new PBS Kids series Nature Cat. 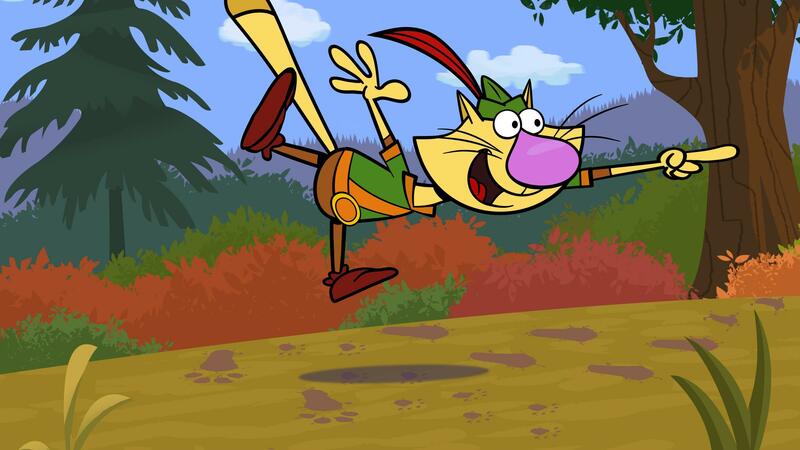 The series is about Fred a house cat who escapes the confines of his house and takes on the persona of Nature Cat, a cat who delights in exploring the outdoors. The day was filled with nature themed activities; children built bird feeders with the help of girl scouts from the Black Diamond Girl Scout Troop 5014. A Barn Owl and Broad Wing Hawk made up-close appearances courtesy of the West Virginia Raptor Rehabilitation Center. Nature Cat fans worked hard on making their own tracks and posting them for others to discover. Over 300 people watched the premiere of Nature Cat at the West Virginia Wesleyan Performing Arts Center. Special thanks to Ms. Megan Bacorn, WVPB 2015 Digital Innovator, who was an organizing force behind this day. Nature Cat can be seen weekdays on WVPB at 8a and 3:30p. WVPB Education outreach will be helping to launch yet another new PBS KIDS series READY JET GO! On January 23, from 11-4 at the Clay Center in Charleston. READY JET GO! Follows three neighborhood kids who befriend a new kid on their street, Jet Propulsion, whose family happens to be aliens. Together the children explore the solar system, while learning about teamwork and friendship along the way. The Day at the Clay Center will include a screening of the new series at 11:30 and lots of spaced themed activities. The screening and Lobby activities are free, additional activities are available with gallery admission. Jet will be shown on WVPB in February.